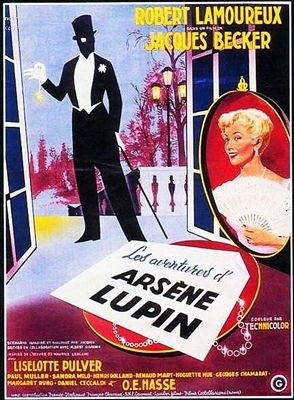 The French/Italian Adventures of Arsene Lupin is loosely based on stories by Maurice Leblanc. A sprightly opening-credits musical theme clues us in that none of what we're about to see should be taken too seriously. The titular Lupin, played by Robert Lamoreaux is a jewel robber in pre-World War 1 Germany. Moving in the highest social circles, Lamoreaux has as much fondness for the ladies as he does for his ill-gotten gains. One of his conquests is played by Liselotte Pulver, who as Lilo Pulver costarred with James Cagney and Horst Buchholz in Billy Wilder's One Two Three (she's the girl in the polka-dot dress). Lupin proves to be a patriot when he robs the coffers of France's enemy-to-be, Kaiser Wilhelm. A splendid print and transfer, with gorgeous color through out. The movie is a truffle, but a truffle sometimes just what you want. Another wonderful bargain from Moviedetective. net. Excellent image and sound quality. Fast and professional service. Truly enjoyed watching this movie. Thank you.